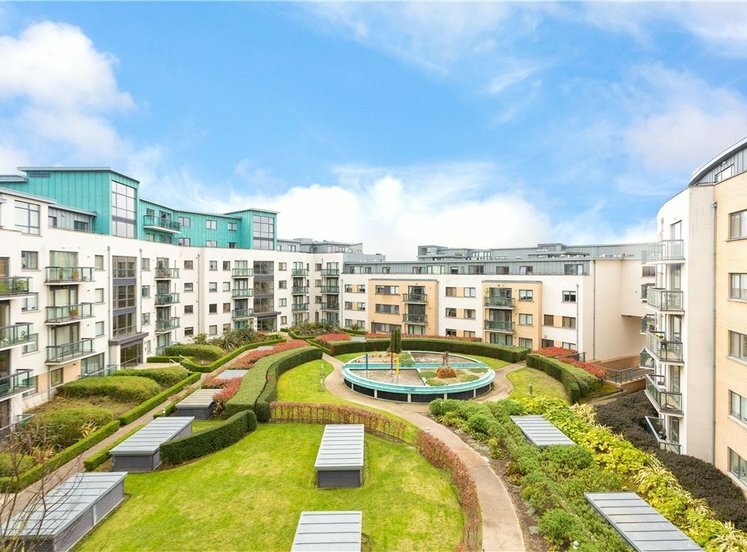 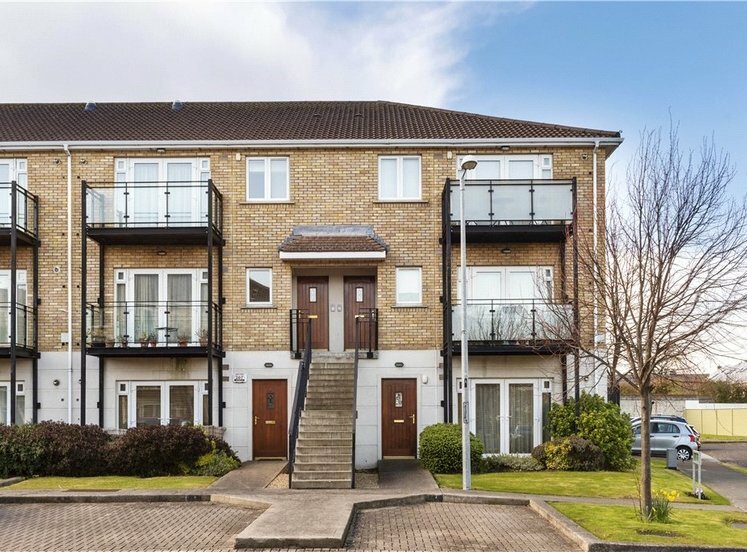 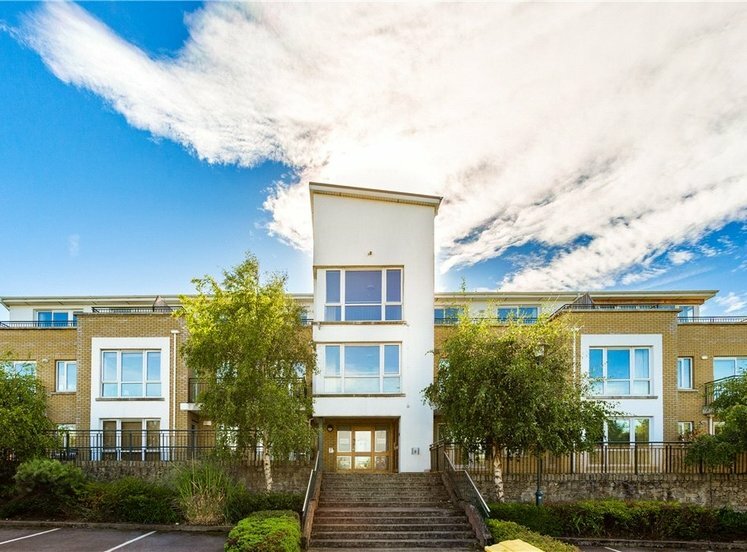 Perfectly positioned this two bed ground floor apartment enjoys a sunny westerly aspect and overlooks a beautifully landscaped green in this prestigious Award Winning Development launched in 2004. 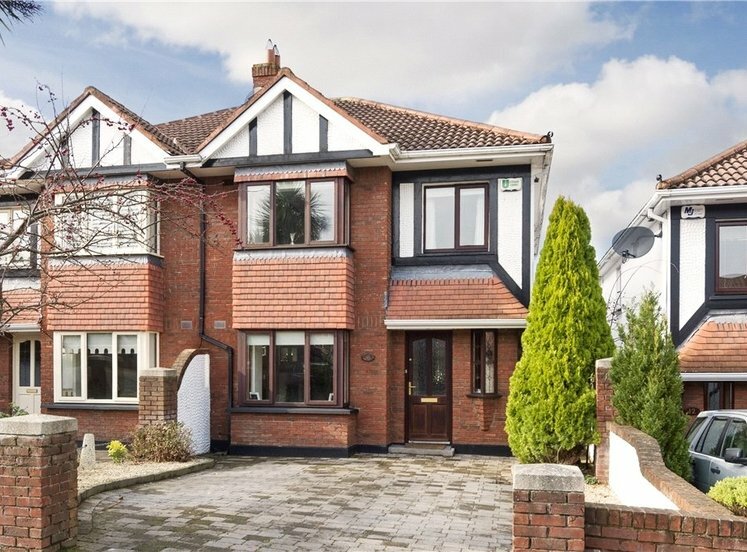 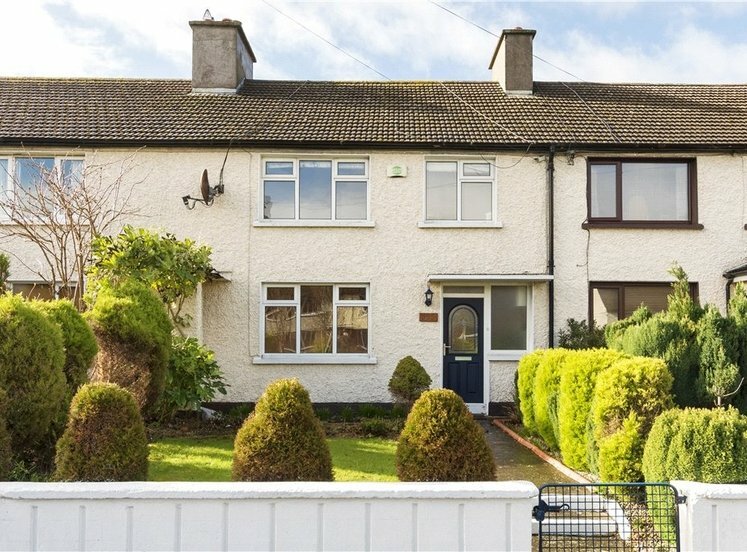 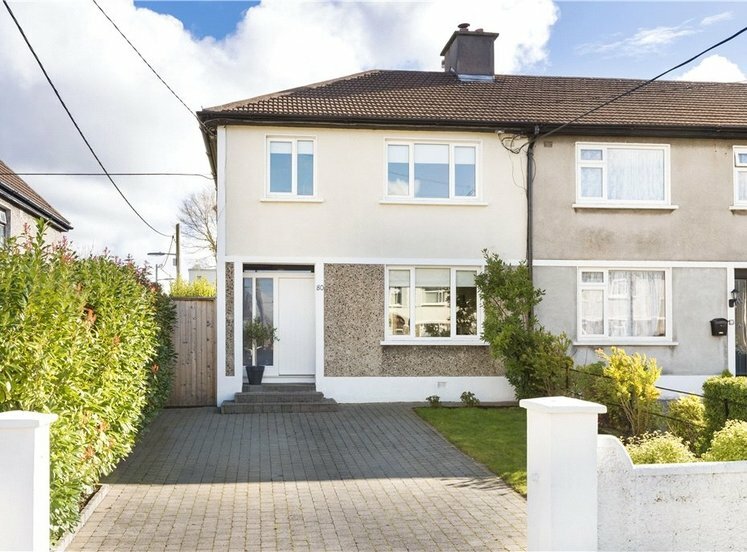 In excellent condition throughout this property which offers a peaceful living environment with the convenience of a host of local amenities in the immediate area including bus routes, schools, shops, and Marlay Park. 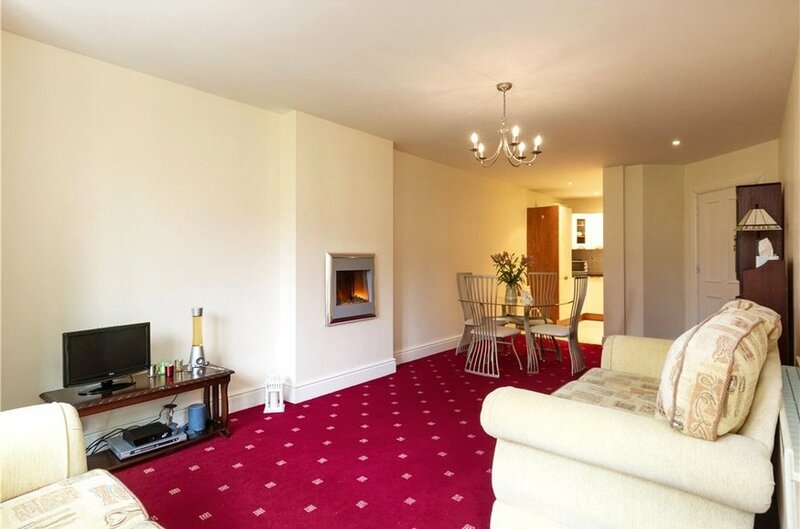 The accommodation comprises of entrance hall, a bright living/dining area and modern fitted kitchen, two bedrooms (master with en-suite) bathroom and own door access to a sunny patio area overlooking the landscaped green. 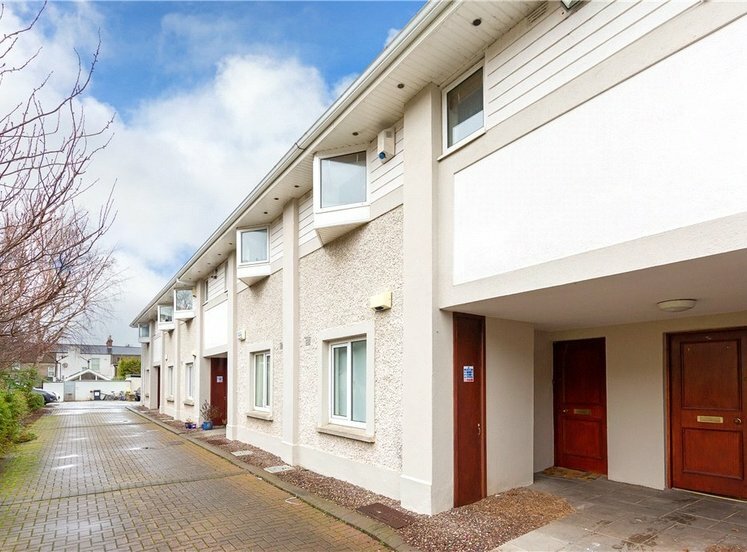 Ample storage is provided and there is a designated underground car space (generous in size) and visitor car parking. 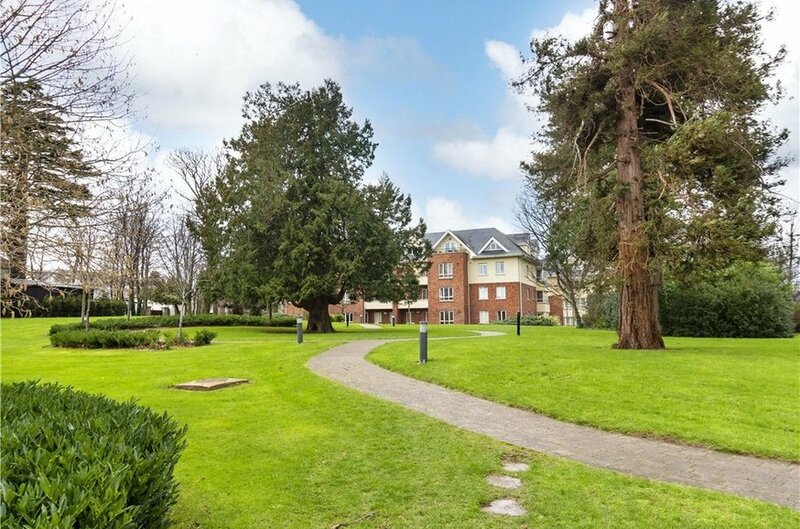 The grounds are well kept and perfectly landscaped with plenty of open space. 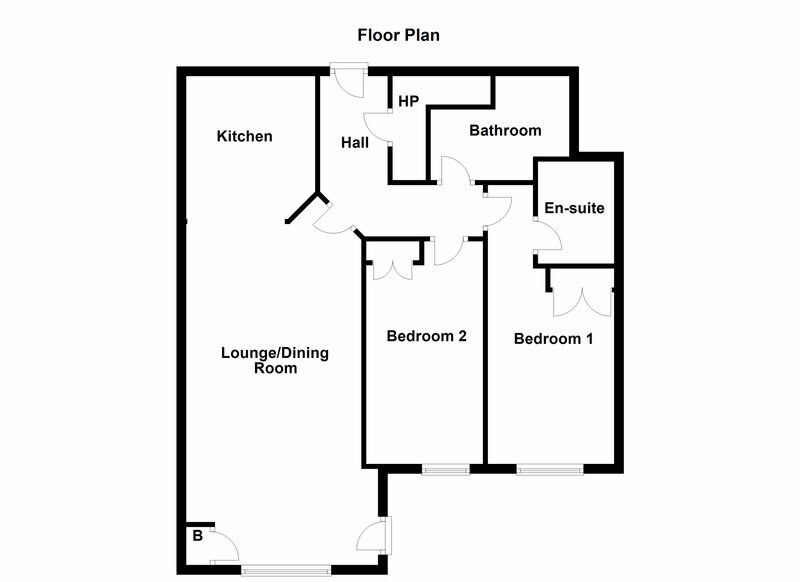 L-shaped, with large hotpress / storage cupboard. 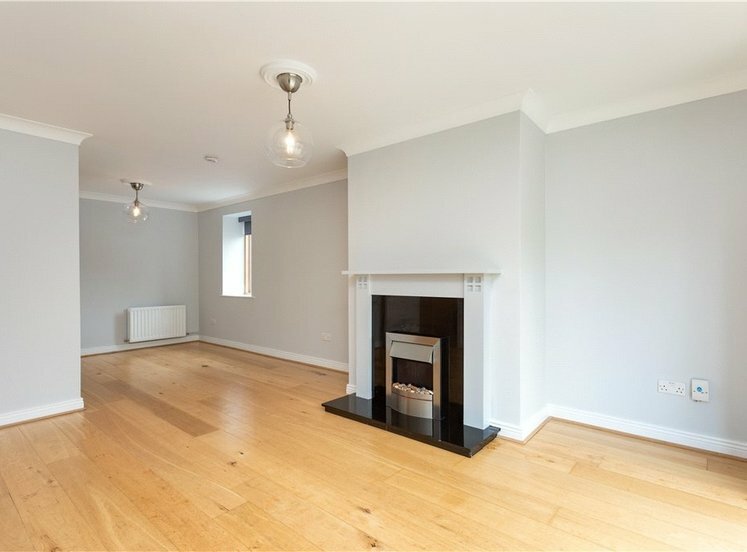 Open plan. 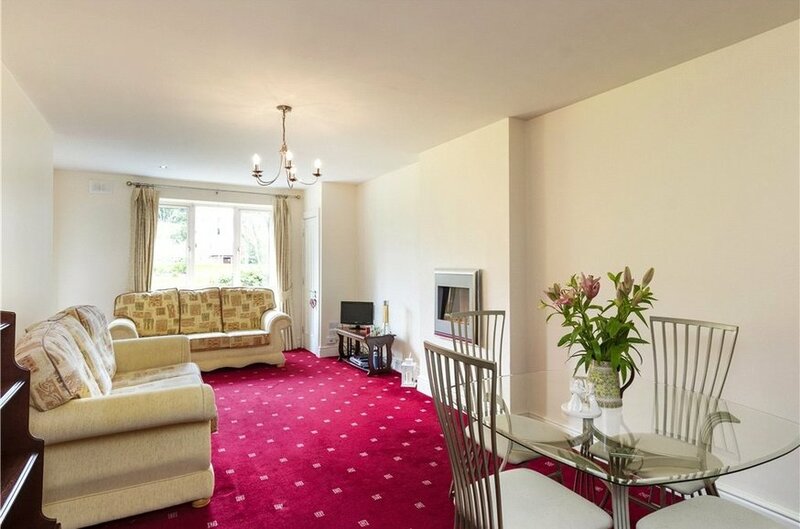 Living / Dining Room - carpeted with access to the patio area. 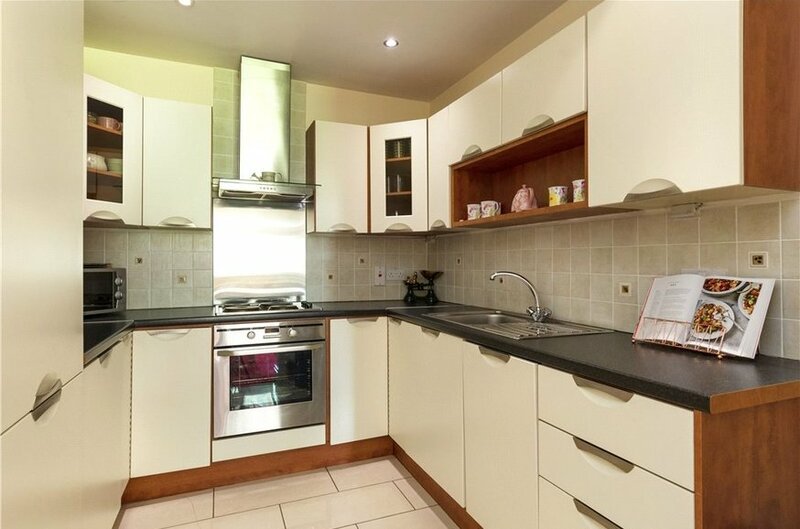 Kitchen - tiled floor, range of kitchen units and cupboards,tiled splashback, stainless steal sink unit, integrated appliances, Aeg electric hob and oven with extractor fan, plumbed for washing machine and dryer. 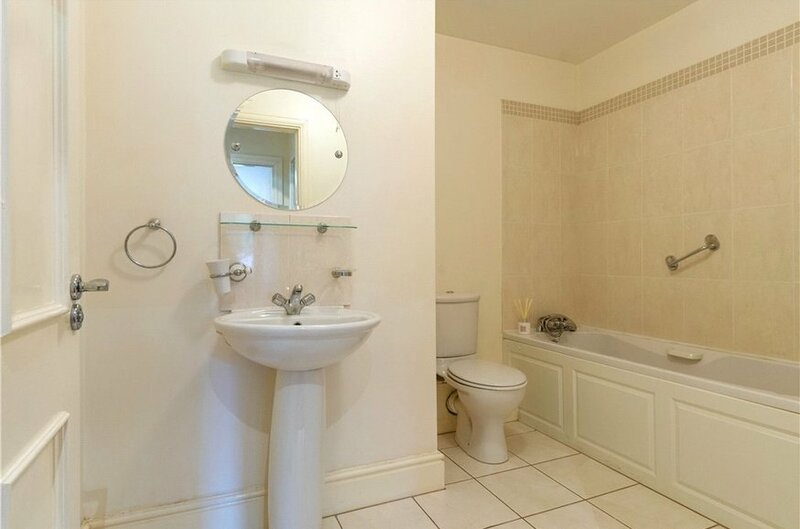 With w.c., w.h.b., shower and tiled floor. 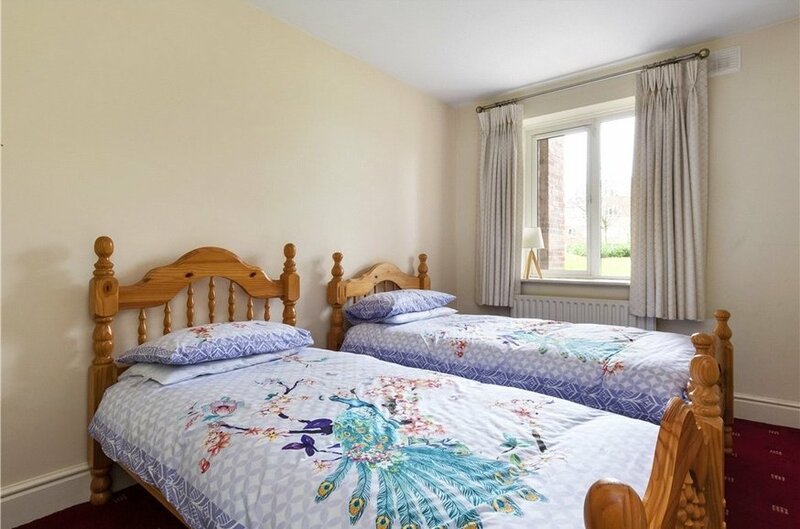 Double room, carpeted with built-in wardrobes. 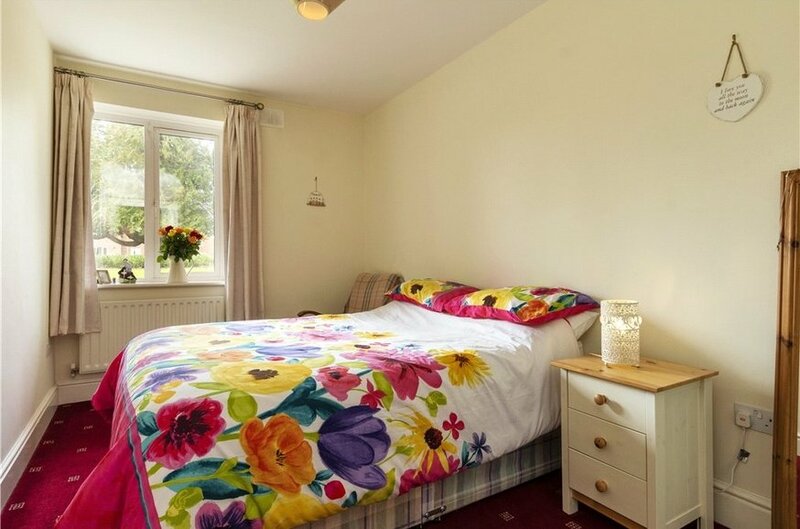 Spacious room with w.c., w.h.b., bath with telephone attachment shower and heated towel rail. 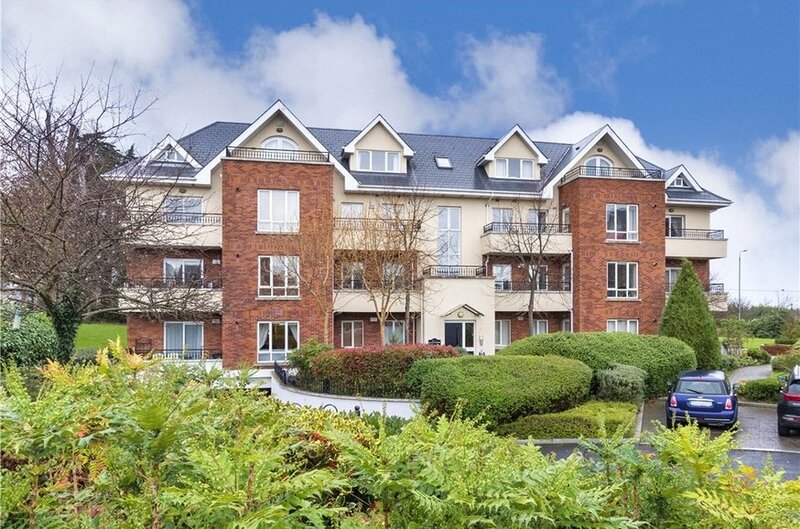 The patio enjoys a sunny westerly position overlooking the grounds of the development and views of the Dublin Mountains.